An upgrade for the sportswear giant. Nike's footprint in Oregon is about to get even bigger thanks to a huge expansion planned for its Beaverton world headquarters. Today, the brand released renderings of its plans for the expansion. ZGF Architects, SRG Partnership and Skylab Architecture will lead the design for the new spaces, while Place Studio will handle things from a landscape architecture perspective. The campus expansions intend to reflect human movement, the energy of competition and other concepts central to the Nike brand. Nike CEO Mark Parker spoke on the plans via a press release. "Our expanding World Headquarters reflects the best of Nike’s culture — a place where we obsess the athlete and invent future products and experiences for consumers everywhere,” Parker said. 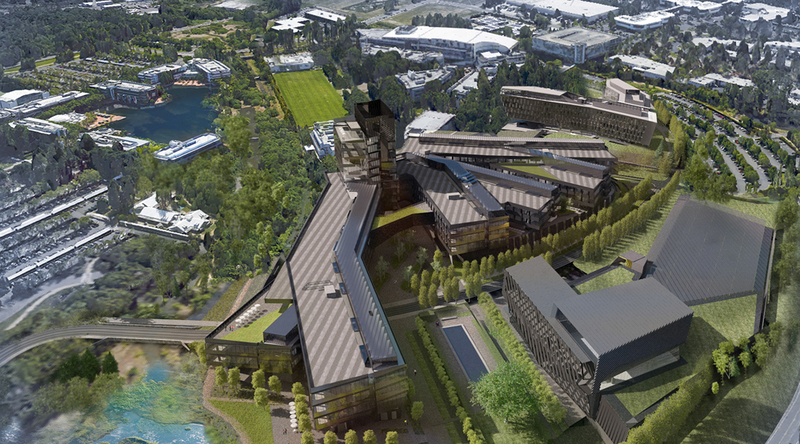 Nike plans to finish the 3.2 million square feet expansion by 2018.